Not very big but all heart. She is having a good prep finally - had a list of set backs and knocks just as she was ready to race in previous preps. TOORAK TOFF (AUS) (2007). 6 wins-3 at 2-to 1400m, MRC Sir Rupert Clarke S., Gr.1. Sire of 153 rnrs, 79 wnrs, inc. SW Iconoclasm (MRC Weekend Hussler H., L), SP Toffee Nose and of Social Spin, Duality, Toorak Comedy, Trakiato, Greywolf, Knock Toff, Speedy King, Strathclyde, Toorak Affair, Toorak Cowboy, Toorak Tower, Arriba, Gypsy Toff, Ship Creek, Toorak Smock, Dellacqua, Miss Toorak Flyer, Washington Street, Hollywoodgirl, Miss Bluegrass, etc. Indaba My Children (g. by Tale of the Cat). 4 wins-2 at 2-to 1400m, R425,915 in South Africa and Mauritius, Scottsville J Leslie Smith H., Greyville Betting World Mobile Magic Juvenile P., 2d Clairwood Godolphin Barb S., Gr.3, 3d Clairwood Var Durban Dash, Greyville Omega Digital P., Scottsville Soccer 1 One Line Better Chances H.
Fortune Patch (g. by Not a Single Doubt). 2 wins at 1200m, 1300m, ATC Pro-Ride H., 2d ATC TAB More Than Winning H., Avondale JC Next Meeting 27 September H., 3d ATC Colin Tuck Farewell H., Robrick Lodge H., Cambridge JC Maneline Cambridge H.
Bowie Rocks. 6 wins to 1200m in 2017-18 in Aust. Fairy Beast (f. by Toorak Toff). Winner. See below. The Ghan (g. by Stratum). Placed in 2018-19 in Aust. PRINCE OF BROOKLYN (Magnus). 3 wins-2 at 2-to 1400m, A$273,945, SAJC National S., Gr.3, Swan Hill JC Elvstroem Classic, MRC Beveridge Williams P., 2d VRC AR Creswick Series Final S., L, MRC Ladbrokes Odds Boost H., Catanach's Jewellers H., MVRC Kane Constructions 3YO H.
PRINCESS OF QUEENS (Magnus). 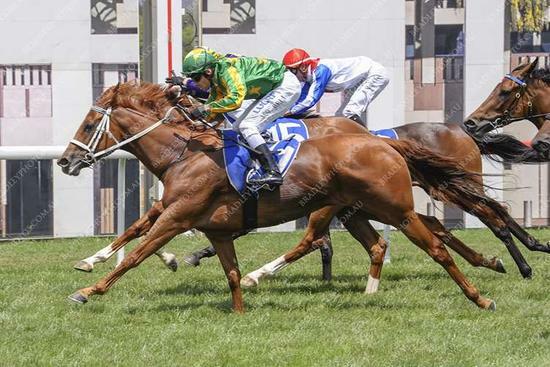 6 wins to 1400m, A$335,740, to 2018-19, SAJC Christmas H., L, MRC Clanbrooke Racing H., Win a Car at Highways H., SAJC Hyland Racecolours H., 2d MRC Sheamus Mills Bloodstock H., Pakenham RC Sportsbet Racing Form H., 3d MRC Cape Grim Beef Steaks S., Gr.3, VRC Domain P., MRC Chandler Macleod P., Victoria P.
Duke of Brunswick (Magnus). 7 wins from 1200m to 1600m, A$537,155, MVRC Dominant Cafetto H., MRC Darren Gauci Farewell H., Ladbrokes.com.au H., Billie Swan H., Sale TC Eastcoast Plumbing Group Bairnsdale H., 2d VRC All Victorian Sprint Final H., L, Sensis Digital Trophy H., MRC PFD Food Services H., LUCRF Super Supports Jockeys H., 3d MRC Bletchingly S., Gr.3, John Dillon H., L, 4th MRC Christmas S., L, MRC (Mornington) Hareeba S., L.
Atomic Rule (Tribal Rule). 11 wins from 1m to 9f, US$305,558, to 2018, 3d Fresno Bull Dog H., L.
Che Casino. 4 wins from 1300m to 2100m, A$183,130, AJC Advance Design H., STC Inghams Love'em H., 2d STC Grey Gums Hotel Penrith H., BRC Webstar H., Terry Mays Lia H., 3d STC De Bortoli Wines H., Epar H., Freeway Republic Beer H., BRC Racetree P., Entirerecruitment.com P., Padua College H., GCTC Brisbane Isuzu P.
Shaggy Bob (Zeditave). 6 wins from 1450m to 1650m, A$93,615, VRC John Kennedy H., Independent Storage H., MVRC Merry Christmas H., SAJC Double Century H., VATC Forina H., 3d SAJC Auraria S., Gr.3. Producer.